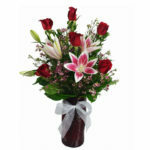 Here at Flower Patch on a daily basis we are blessed with the rare experience & luxury of being surrounded by fresh flowers from morning till night. Daily as we enjoy the intricate beauty, individual personality & unique fragrance of each flower we find our creativity is stimulated, our senses enhanced & our overall environment takes on a somewhat calming & therapeutic quality to be enjoyed by all. 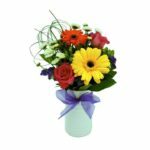 Our “Year of Flowers” program has been created to do just that…by allowing the freshness & quality of Flower Patch Flowers to grace the home or office of a loved one or business associate, surrounding them day after day with all the benefits Mother Nature has to offer! 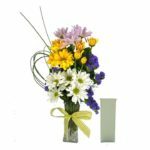 Your recipient will receive the first months flowers delivered to their door beautifully arranged in a keepsake soft green ceramic pitcher with a matching announcement card bearing your personal message. 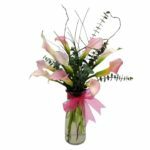 Each month after, they will receive on the date specified by you, their new flowers & greenery attractively gift wrapped with instructions as to how to care for & style their flowers within their keepsake pitcher. 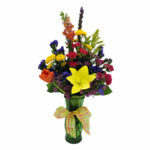 *Pricing includes monthly delivery fees, one keepsake pitcher & monthly flowers. 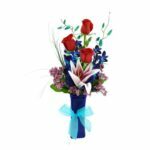 Questions, Payment Options, or to Place your “Year of Flowers” order, please dial 1.801.747.5377 to speak with a Flower Patch sales representative. In the early times whenever people didn’t have enough courage to say something, they would look for the perfect way to express their emotions without speaking. 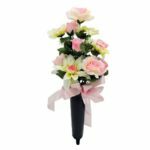 Flowers became an important symbol of our emotions and their many varieties helped us choose the perfect flower for that special person.